PEORIA, Ill. / LONDON, U.K. - Caterpillar Inc. (NYSE: CAT), Cat dealer Ring Power and APR Energy plc ("APR" - LSE: APR), today announced they have signed an agreement to develop temporary power solutions globally to meet the needs of the growing international power projects (IPP) market, especially in the emerging markets. The five-year agreement centers on APR working with Caterpillar, Ring Power and the Cat dealer network to originate and respond to temporary power plant opportunities. As part of the agreement, Caterpillar will supply mobile generator sets through Ring Power to APR Energy, including the new XQ2000 and XQ1475G power modules, designed specifically for the international power projects market. APR will benefit from an increased flow of temporary power plant opportunities and from clear visibility of an integrated supply line to fulfill on its diesel and gas engine requirements, and Caterpillar will benefit from an increased presence, on a global basis, in the IPP market. "We are pleased to be working with Ring Power and APR Energy as we expand our growth in the international power projects business," said Bill Rohner, Caterpillar vice president with responsibility for electric power. "APR’s experience in temporary power solutions, Caterpillar’s engineering and product expertise and Ring Power’s rental experience will enable us to better serve our customers," continued Rohner. By working with Caterpillar and Ring Power, APR continues to strengthen its position as one of the fastest growing providers in the IPP market. The extensive Cat dealer network will allow APR to benefit from a truly global network of parts availability and services provided by the 188 Cat dealers and 126,700 Cat dealer employees around the world. Along with parts and services support, APR’s cooperation with Caterpillar and its dealers will present new sales opportunities previously unfulfilled by either party. "I have been doing business with Caterpillar for more than 20 years, and APR has used their power modules for its entire history. We know Caterpillar well and have great respect for them. This is an exciting win-win for all of us," said John Campion, CEO of APR. "With this agreement, we can work together to fulfill a far greater number of global power opportunities." As part of the agreement, Cat dealer Ring Power will provide application, engineering, sales and product support to APR Energy. "Our market leading product support and rental service capabilities enable us to deliver world-class energy solutions to our customers, and we look forward to continuing our long-standing relationship with APR Energy," said Randy Ringhaver, president of Ring Power. A world-class manufacturer of diesel and natural gas engines and an industry leading provider of complete solutions for the electric power industry, Caterpillar pioneered the development of the mobile power module and has provided customers with power systems solutions for more than 70 years. To meet the needs of international power projects customers, Caterpillar released a new version of its successful XQ2000 power module utilizing the 3516B engine. This new diesel power module is capable of running both 50 and 60 Hz, which is ideal for a global power provider like APR. The new XQ1475G power module contains the world leading G3516E natural gas generator set. For more than 85 years, Caterpillar Inc. has been making sustainable progress possible and driving positive change on every continent. With 2010 sales and revenues of $42.588 billion, Caterpillar is the world’s leading manufacturer of construction and mining equipment, diesel and natural gas engines, industrial gas turbines and diesel-electric locomotives. The company also is a leading services provider through Caterpillar Financial Services, Caterpillar Remanufacturing Services, Caterpillar Logistics Services and Progress Rail Services. More information is available at: http://www.caterpillar.com. Ring Power is the Central and Northeast Florida Cat dealer, headquartered in St. Augustine. Ring Power is comprised of eight divisions and has 50 years of experience in sales, rental, service and product support of Cat equipment. Ring Power has built a strong reputation in the industry with its’ superior product support capability for customer projects worldwide. Additional information about the Ring Power organization, its products and services can be found at www.ringpower.com. 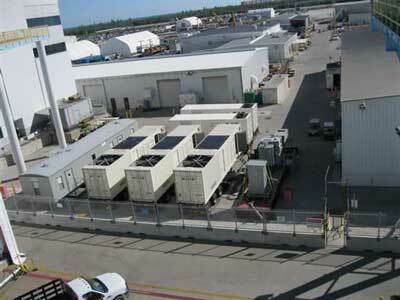 Based in Jacksonville, Florida, and quoted on the London Stock Exchange, APR is a fast growing, pure play fast track provider of large scale, temporary power solutions. It is focused on the rapidly growing power plant market in emerging markets, where the supply/demand imbalance is most acute, as well as event-led opportunities. APR designs, installs, operates and maintains turnkey power solutions, used for applications, including Peak shaving, Distributed generation, Supplemental power, Grid stability and support, Emergency generation and Industrial power generation. Its fleet is technologically advanced and is differentiated by its ability to provide dual fuel turbine generators as well as diesel and natural gas modules. For the two financial years to end December 2010, its revenue grew 235%. Revenue for August 2011 was up 93% over the same month the previous year. Additional information can be found at: www.aprenergy.com. ICUEE 2011 - The Demo Expo "Hands Down the Best Place for Hands On"
Ring Power is eagerly anticipating this year's ICUEE [pronounced I.Q.] at the Kentucky Exposition Center in Louisville Kentucky. Held October 4-6, ICUEE is the International Construction & Utility Equipment Exposition. Also known as The Demo Expo, ICUEE is the best place for hands on demonstrations of construction and utility equipment operation. Attendees can operate the equipment themselves and explore the newest industry products and innovations. The broad spectrum of equipment available to operate is the ultimate in competitive comparisons. An extensive education program complements displays of the latest equipment technology and product innovations. Ring Power will be on-site proudly representing our Terex Utilities line. Looking forward to seeing you there! Machinery is exhibited in job-like conditions and attendees can experience first-hand equipment in action, working at ground level, underground and overhead. Students from 83 high schools, tech centers and colleges compete in the 44th Annual SkillsUSA Competition. Students from 83 Florida highschools, tech centers and colleges compete in the 44th Annual SkillsUSA Competition. This past spring, the 2011 Florida SkillsUSA Leadership and Skills Conference drew to a close at the Manatee Civic Center in Bradenton, where over 3000 students, educators, business people and supporters from across the state gathered for the 44th annual event. In all, more than 1300 students from 83 high schools, technical centers and colleges throughout Florida competed in 188 skills and leadership contests—the largest number of contests and greatest number of schools in the history of the conference! Ring Power Corporation supports the mission of SkillsUSA by taking part every year in the organization’s state-level competitions. This year, nine students competed in the Diesel Equipment Technology trials, which were held in Ring Power’s Sarasota’s heavy equipment shops. Tampa Training Instructor Josh Markosen volunteered his services as a judge of the contestants’ hydraulic fundamentals skills; Ring Power Training Instructor Bob Delp judged contestants on electrical fundamentals skills; Sarasota Heavy Equipment Technician James Freeman judged their electronic engine skills; Sarasota Heavy Equipment Technician Josh Ritter judged their preventive maintenance skills; and Sarasota Heavy Equipment Service Business Manager Nathan Worley judged job interviewing skills. Dwayne Rainer, Lakeland Cat Rental Store Field Service Technician, has been involved with SkillsUSA since he was a student. In 1990, when he was class president of his school’s chapter, Rainer took first place in the Florida diesel equipment technology competition and fourth place in the National Competition. 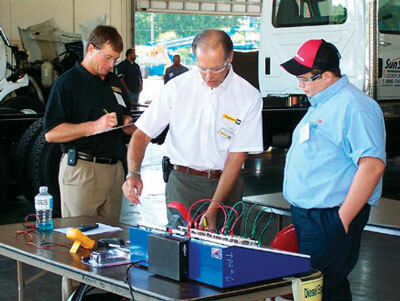 Last year, as event chairman of the diesel equipment technology competition, Rainer organized the flow of students through the skill stations and assisted with judging, tallying and submitting the final competition results. This year, Rainer served as coordinator of the competition. Photo: Ring Power Training Instructor Bob Delp (center) explains the electrical fundamentals test objectives to SkillsUSA competitor. SkillsUSA is a partnership of students, teachers and industry working together to ensure America has a skilled workforce. SkillsUSA helps each student excel. SkillsUSA is a national nonprofit organization serving teachers and high school and college students who are preparing for careers in trade, technical and skilled service occupations, including health occupations. It was formerly known as VICA (Vocational Industrial Clubs of America). Ring Power Corporation, North and Central Florida's Caterpillar dealer, is headquartered in St. Augustine, Florida. Additional heavy equipment branch locations include, Tallahassee, Lake City, Jacksonville, Gainesville, Ocala, Perry, Daytona Beach, Orlando, Lakeland, Tampa, Sarasota, and Palm Bay. 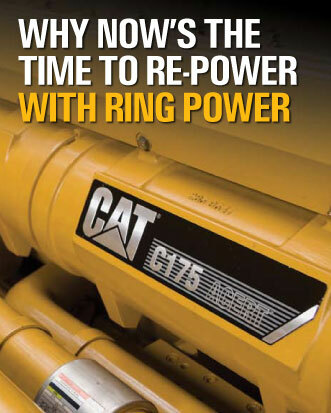 Ring Power is provides parts and service on all makes of heavy equipment repairs, both Cat and competitive machines such as Volvo, John Deere, Komatsu, Bob Cat and others. 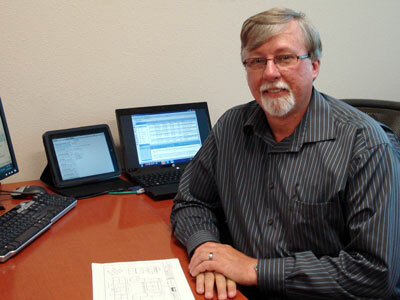 Rocky Bear joins Phoenix Products as regional sales manager for the western United States. Bear has been in the generator packaging of emergency power industry as a custom designer and sales professional for nearly 20 years. Bear is based in Phoenix Products’ Oakdale, California manufacturing facility and has sales responsibilities to customers in California, Arizona, Nevada, Washington, Oregon, Alaska, and Hawaii. Phoenix Products specializes in the manufacturing and designs of generator enclosures and produces fuel storage tanks and fuel systems, electrical control panels and insulation blankets for exhaust systems, as well as metal stairs and platforms. Their headquarters reside in Jacksonville, Florida with additional offices in Oakdale, California. Jonathan Long, Phoenix Products' Senior Estimator, accepted a new role within Ring Power Corporation’s Power Systems Division as Business Development Manager. Long, as electric power business development manager, will assist the mechanical and electrical engineering community and the Ring Power Systems sales team in designing and developing electric power generator specifications for stand-by power and prime power projects. Long’s background includes inside sales, outside sales, process improvement, mechanical engineering, and production. He holds a Bachelor's Degree in Mechanical Engineering Technology from Georgia Southern University, and is currently a part of Ring Power's Mentorship program. Long will be the one source at Ring Power for information from UPS systems to stand-by power, bi-fuel and load management to EPA Tier 4 Emissions regulations, utility interfacing, all the way through peak shaving. 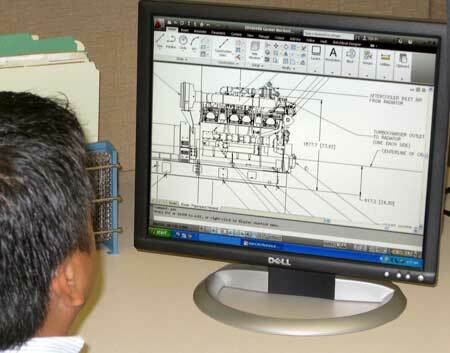 Ring Power Systems provides new and used marine and industrial engines, diesel generator sets, air compressors, temperature control and other power equipment throughout north and central Florida. Headquartered in St Augustine, Florida with branch locations in Brooksville, Daytona Beach, Gainesville, Jacksonville, Lake City, Ocala, Orlando, Palm Bay, Tallahassee and Tampa. Phoenix Products specializes in a generator enclosure manufacture and designs and produces fuel storage tanks and fuel systems, electrical control panels and insulation blankets for exhaust systems, as well as metal stairs and platforms. Their headquarters reside in Jacksonville, Florida with additional offices in Oakdale, California. 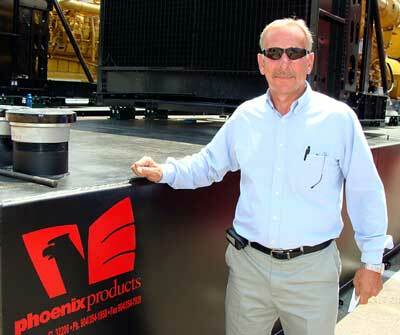 Phoenix Products, manufacturer of generator enclosures, fuel systems and fuel tanks in Jacksonville, Florida, announces Chris Ingles as Plant Manager of the Jacksonville operation. Ingles brings many years of generator packaging and service experience and has responsibility for all production activity in the manufacturing of generator enclosures, fuel tanks and fuel system. Ingles’ was formerly the owner of C-G Engineering, which provided installation and repair services for generator dealers and users. 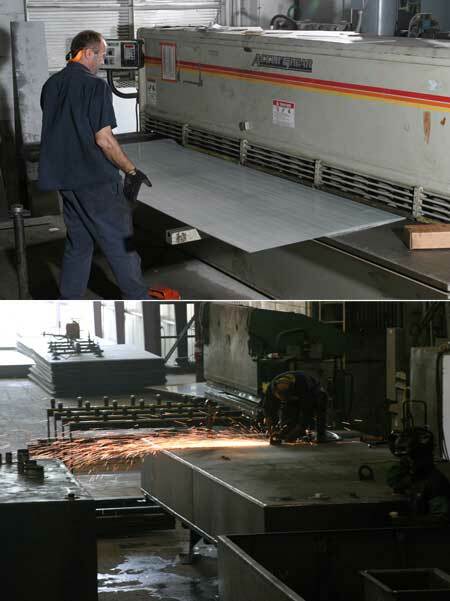 Phoenix Products specializes in the manufacture of generator set enclosures, fuel storage tanks, electrical control panels and insulation blankets for exhaust systems, as well as metal stairs and platforms. Phoenix Products also manufactures Falcon tanks and enclosures, an economical line of generator enclosures and diesel fuel tanks. Phoenix Products headquarters reside in Jacksonville, Florida with additional offices in Oakdale, California. Ring Power Corporation, reports Caterpillar’s ongoing commitment to aid in Japan. Over the last week, Caterpillar Inc. and Caterpillar Japan Limited have actively monitored the on-going developments in Japan following the devastating earthquake and tsunami to report ramifications for Cat and the Caterpillar dealer network. While continuing to provide support for all employees living and working in Japan, Caterpillar is focusing resources from around the world to determine the full scope and impact on the company’s supply chain. Caterpillar's facilities in Tokyo, Akashi and Sagami were not damaged by the earthquake, and are outside of the current area the Japanese government has declared as a mandatory evacuation zone. To date, both the Sagami and Akashi facilities have continued to operate and produce product, and the disruption to the supply chain in Japan has not stopped production at other Caterpillar facilities around the world. Cat is actively developing alternative sources for components produced by Japanese-based suppliers, should they not be able to fulfill orders. Although Cat’s Japanese interests appear sound, Caterpillar cautions it is possible some facilities may be sporadically impacted throughout Japan’s recovery. In addition to Caterpillar’s economic research on behalf of suppliers, employees, dealers and customers, Caterpillar Japan Limited has pledged $1 million to support disaster relief through in-kind equipment donations of machinery and generators to Japanese governmental agencies. In America, the Caterpillar Foundation has announced a $1 million grant to the American Red Cross with an additional promise to match up to $500,000 in contributions made by Caterpillar employees, retirees and dealer employees ­to the Red Cross before April 14, 2011. Ring Power Corporation has more than 45 years of experience selling, renting, servicing and supporting Caterpillar® and allied equipment throughout North and Central Florida. Additional information about the Ring Power organization, its products and services can be found on the Internet at ringpower.com. 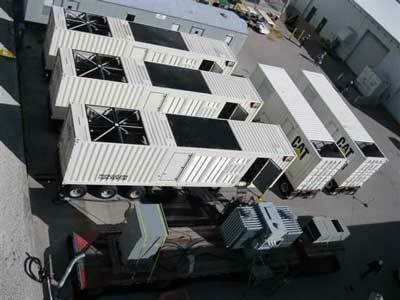 Seven reasons generator owners should consider re-powering aged or undersized generators. 1. 120-Day same as Cash. No Payments. No Interest Financing. * Special financing available for qualified buyers on diesel generators below 200kW; gas generators below 300 kW; and other Cat-branded generators included with every order. 2. Five-year or 2500-hour Extended Service Coverage on every Caterpillar Generator included with every order. Ring Power is a distributor for Caterpillar® and Olympian™ standby and prime generators, as well as, ASCO Russelectric, and Caterpillar automatic transfer switches and Caterpillar UPS systems. Headquartered in St Augustine, Florida with branch locations in Brooksville, Daytona Beach, Gainesville, Jacksonville, Lake City, Ocala, Orlando, Palm Bay, Tallahassee and Tampa. *Special financing available to those with approved credit.